A stylish green space hoodie. 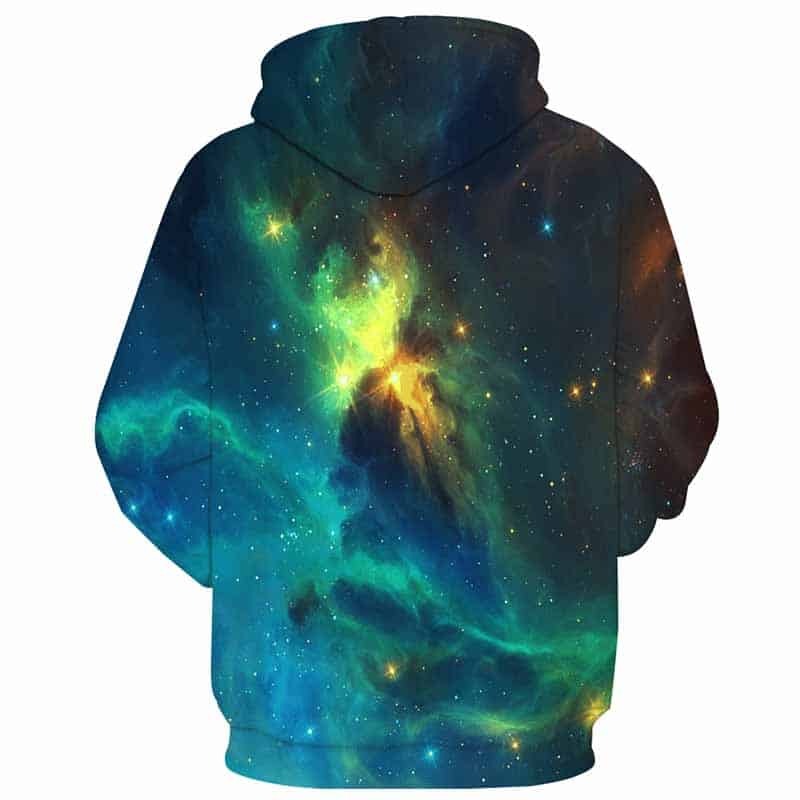 This hoodie captures the beauty of space and the imagination of what is out there. 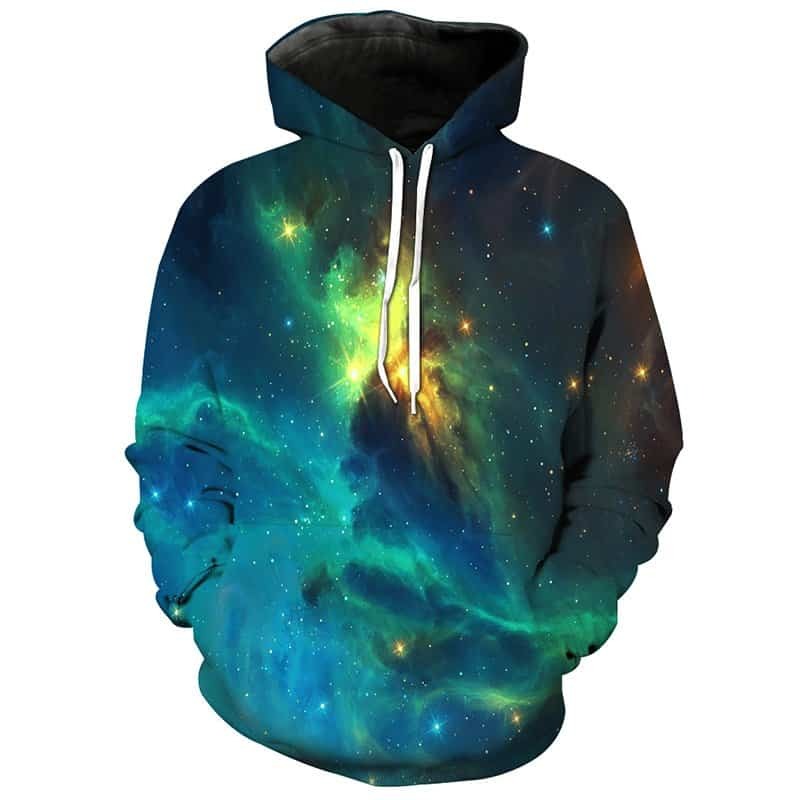 One of our favourite space hoodies. The hoodie is comfortable to wear, looks fashionable and is wearable anywhere. It was designed for both male and female.